How it Works and why it's free! Not all books available on Amazon for the Kindle are free obviously, but many are. The paid for books are by current authors and publishers who wish for a fair return of income on their labours. Free ebooks are those that have outlasted their copyright or are published for free by authors seeking to publicize their work. Small as it is (barely a hundred pages), this book amply makes up for that lack of quantity by its sheer quality. Richard Hannay has just returned from South Africa and is barely back in London when a man is found murdered in his rooms ('There was a long knife through his heart which skewered him to the floor.' Don't you just love this kind of stuff? I know I do!). He sets out for his native Scotland, always just a step ahead of the police... not once does the pace of the story slacken until the very end, and you'll be reading it teeth on edge. Some books advertised here are not free. These are not marked #free in the download link. They are usually priced between 0.71p to £4.99 and feature most genres. Illustrated edition. Available for the first time in an edition with full colour images, Antoine de Saint-Exupéry's classic story, The Little Prince, beloved by readers of all ages, comes to life in a format perfect for teen readers. Antoine De Saint-Exupery was born in 1900 in Lyon. In 1921, he began his training as a pilot by 1926, he had became one of the pioneers of international postal flight. He embarked on a record-breaking attempt to fly from Paris to Saigon. Nineteen hours into the flight, his plane crashed in the Sahara desert. He survived the crash but spent three days battling dehydration, limited food and hallucinations. On the fourth day, the was rescued. In part, this experience was the inspiration for 'The Little Prince'. He continued to fly until World War II, during which he took self-imposed exile. He disappeared over the Mediterranean on his last assigned reconnaissance mission in July 1944, and is believed to have died at that time. 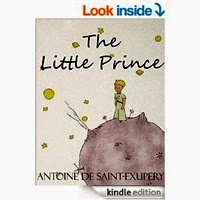 At first glance, Antoine de Saint-Exupéry’s 1943 classic The Little Prince, with its winsome illustrations of a boy prince and his tiny planet appears to be a children’s fairy tale. It doesn’t take long, however, to discover that it speaks to readers of all ages. 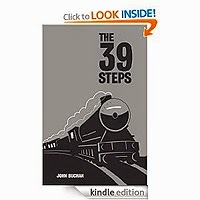 This kindle edition has an introduction by Gregory Maguire. Rediscover - or share - the magic!